The SCI Projects team is made up of highly professional and experienced personnel covering a wide range of services. The team takes pride in every aspect of every commercial project we undertake. Our team of highly skilled professionals brings a sense of respect, loyalty, reliability and a deep sense of community to every project and every stakeholder. 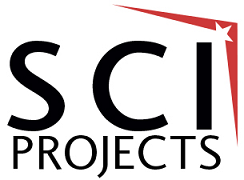 SCI Projects has a deep understanding of the construction industry and is skilled in translating the most difficult projects into profitable and elegant solutions.